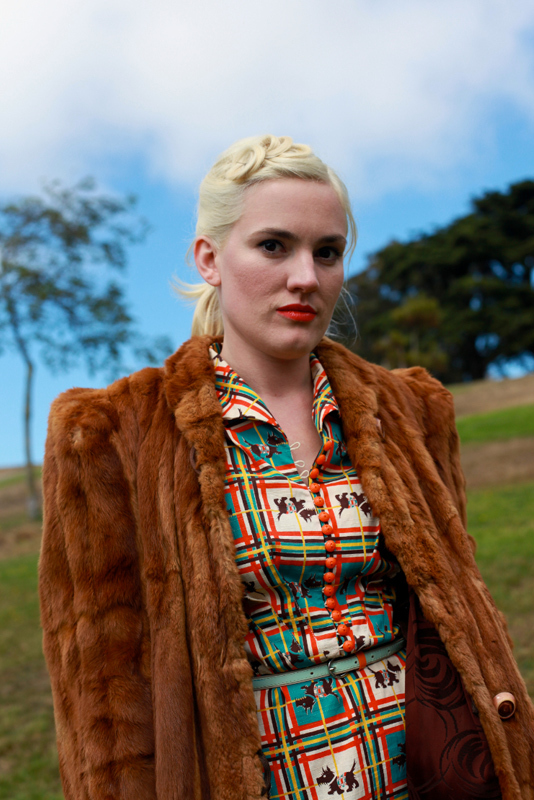 Valerie looks great from head-to-toe: her hair with pincurls, her orange-red lipstick that matches the orange-red stripe on that amazing Scottish Terrier plaid patterned dress, those gorgeous brown patent leather oxfords, and yes, even her vintage mink fur coat. 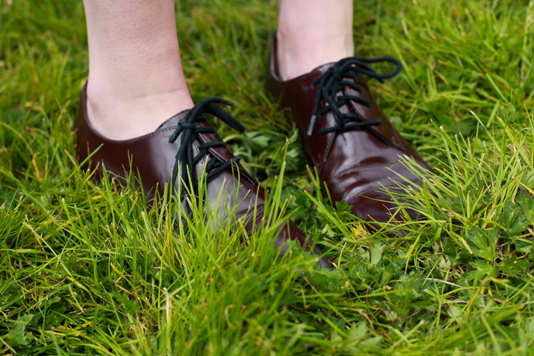 Beautiful chocolate brown patent leather oxfords are hidden in the grass. Thanks for posting this and for your sweet comments. What a fun day that was!